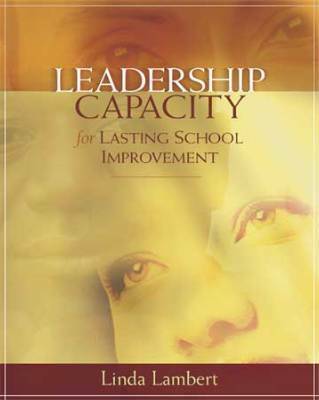 Leadership Capacity for Lasting School Improvement by Linda Lambert is a slender book that was published ten years ago but remains for me one of the most accessible, wise, and helpful books for thinking about school change. It combines her own thoughts about elements essential for lasting school improvement, some examples of schools that have attained success and what that looks like, and a variety of ways to analyze your own school or district to develop an action plan to achieve leadership capacity. How we define leadership frames how people will participate in it. Within the context of education, the term “community” has almost come to mean any gathering of people in a social setting. But real communities ask more of us than merely to gather together; they also assume a focus on a shared purpose, mutual regard and caring and an insistence on integrity and truthfulness. By leadership capacity I mean broad based, skillful participation in the work of leadership… (pg. 4). It is only when a school has undertaken skillful work using inquiry, dialogue and reflection to achieve student performance goals that a school can be said to have achieved high leadership capacity (pgs. 4,5). The crucial role that the superintendent and district administration plays is also explored. “A shared vision is the touchstone from which district actions flow; for the vision to be meaningful, it should be created by representatives from all school community groups. Because they are derived from core values, school and district visions should be congruent if they are to guide action. This does not mean the vision statements need to be identical, but they do need to be mediated so that participants understand how they are connected ” (pg. 86). Linda Lambert’s Leadership Capacity for Lasting School Improvement is both visionary and practical. I highly recommend it! One essential goal in our schools is to create places where students learn how to learn and experience the joy of inquiry into meaningful topics and a variety of texts so they can develop the essential habits and competencies that will enable them to live a fulfilling and productive life. This is the greater goal that sometimes gets lost in everyday schooling. The goal can’t be accomplished without year after year of highly effective teamwork around a set of common values and beliefs that pervade the school. The set of values and beliefs form the foundation for the set of competencies that form the curriculum and lead to the effective instructional practices. As the instructional leader in the school, the principal plays a key role in bringing the team together around developing and stating in clear terms the values and beliefs of the school that will provide the context for student learning. The team includes all those who support the literacy development of the students which of course includes classroom teachers, disciplinary teachers, support teachers, and specialists and classroom teachers. Along with the principal, the whole school team owns the outcomes of the literacy program and contributes to the success of each other in helping students achieving those outcomes. What literacy opportunities will every student have in their school day? How will students be actively engaged in their learning? How much text will students process each day? What text resources will students access? What kinds of assessments will inform the continuous teaching? How will members of the team work together to plan for and assess the progress of each student? When the values and beliefs in the school are clear, the team can provide coherence in the instructional program and the principal can support policy decisions and decisions related to professional learning opportunities in the school to align with those goals. The professional staff has clear expectations of their role in supporting the students and in supporting each other and the students benefit from the kind of teamwork that lets no child fall through the crack. Every child deserves this kind of coherence to grow up literate in our schools. I hope to meet you and support you in achieving excellence! It’s not too late! The new school year is here once again. As you look ahead to the promise of this year, don’t forget about your school-based literacy leadership team. Hopefully this group has already convened and has a clear, shared vision of what is necessary to support student success and growth over the upcoming year. If you do not already have a literacy leadership team at your school, how do you decide who should participate? Consideration needs to be given to the unique perspective each member will bring to the team. A well-designed literacy leadership team includes administrators, the literacy coach, a classroom literacy teacher from each grade level, and representatives from special education and literacy support personnel. It is important that this team of professionals share a common vision of the desired goal of the literacy implementation and its development over time. If this vision has not been established, it should be an initial agenda item. This team makes decisions throughout the year that directly impact the literacy development of the students, teachers, and school. 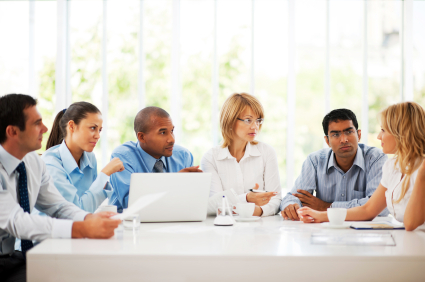 In order for this to occur on a regular basis, monthly team meetings should be scheduled at the beginning of the school year. It is student data and the interpretation of this data that informs the team as they evaluate the literacy implementation at the school. Part of the responsibility of the literacy leadership team is to decide on assessments that will most accurately reflect student progress over time with enough specificity to evaluate the strengths and needs of the students, teachers, and literacy instruction. The data gathered provides insights into weaknesses and strengths of the instruction going on at the school, both in classrooms and interventions. Careful evaluation and reflection on the student data is the foundation for decisions made regarding budget, professional development, schedules, interventions, and many other concerns. I know, I know. This is a tall order and it takes time and effort to meet with the literacy leadership team on a regular basis. It sometimes seems easier to just make decisions without the benefit of everyone’s input. That is especially true when the decision-making involves some hashing out of difficult issues. It can be tense. 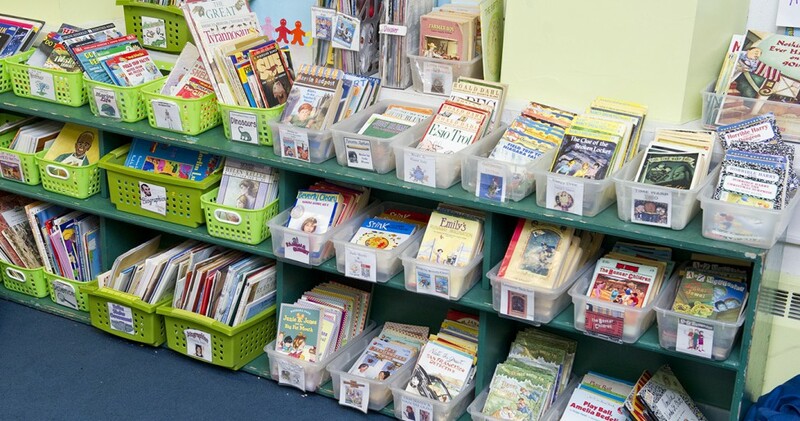 However, the benefits that come from having an active literacy leadership team at your school are enormous and are heightened when members of the team look at the issues through a lens unique to their situation. This is important to making well-rounded decisions in line with the overall vision. The team serves as a compass, keeping the school on a path to the desired outcome. We will continue to look at the vital role literacy leadership teams play in the implementation of an effective literacy initiative in an upcoming blog. Harris, A. and Lambert, L. (2003) Building Leadership Capacity for School Improvement. Berkshire: Open University Press. Among the most powerful professional learning communities I’ve encountered are school literacy teams in which Reading Recovery-trained professionals, classroom teachers, and other school personnel problem-solve collaboratively around the learning and progress of their students around literacy learning. Teachers on those teams work together to share ideas and teaching decisions and to ensure that their school’s comprehensive literacy plan includes effective safety nets for the most vulnerable of learners. It is impressive to witness how these teams build broad ownership and shared responsibility for the learning of the lowest-achieving students. 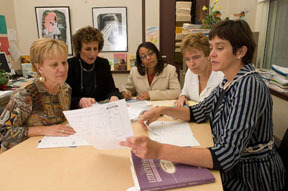 In the context of these meetings, individual teachers are often heard talking about the progress of “our children” instead of referring to “my children.” The message here is that the entire school community (administrators, teachers, parents, school board members and community leaders) is committed to the literacy success of ALL children. These teams provide the context for authentic dialogue around the teaching and learning of our most-challenged learners fueled by the conviction that all children can learn. The kind of collaboration promoted in school literacy teams helps create a common language around literacy learning that further supports Marie Clay’s belief that if some children are unable to learn we should continually strive to find the right ways to teach them. DuFour, R. (2004). What is a “professional learning community?” Educational Leadership, 61, 8, 6-11.